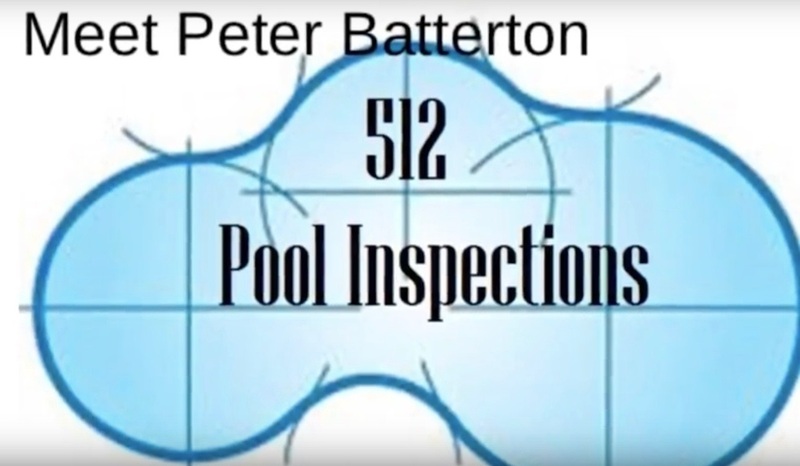 Peter meets with us to discuss the importance of a pool inspection, whether you're buying a home with a pool or if you're selling one. I specialize in pool inspections for residential resale, as in people buying or selling a home with a pool. Very much like a home inspector, it is my job to go in and look for all of the things that should be there and identify any potential issues. Typically I work on the buyer's behalf to ensure the pool is in safe and good operating condition. Tell me about the rules and regulations across the nation in regards to swimming pools. One of the biggest challenge that we have is that most states have more regulations than the state of Texas. So when I'm meeting with clients who may be moving here from say, California or Florida where there is a lot of rules and regulations that apply to building swimming pools, they are often shocked at the shortages or inconsistencies they may see here. This is why a pool inspection would be so important. As we approach this busy home buying and selling season, can you share some tips and tricks for homeowners with pools ? Make sure your filters are clean. Monitor your filter pressure. Testing your water chemistry can be done by taking samples of water to almost any pool service company and have it tested for free. Make sure you have professionals looking over your shoulder and make sure your equipment is in good working order. If you have any questions or concerns, reach out to me and I'm happy to take a look.